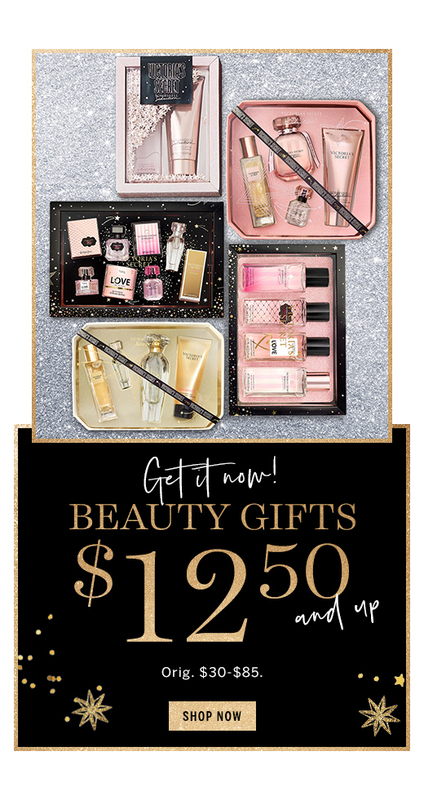 Offer valid in select U.S., non-outlet and Canada Victoria's Secret stores December 19-25, 2018. Comparable value $75. One per customer. While totes last. 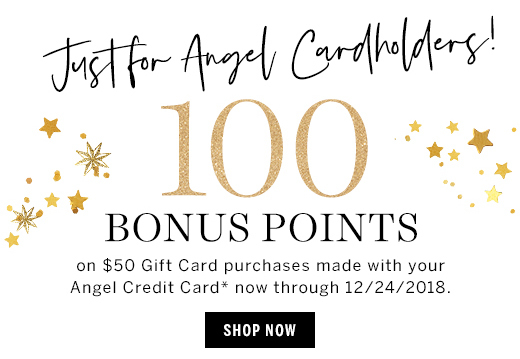 *100 POINTS ON $50 GIFT CARD ANGEL CREDIT CARD PURCHASES. TO REDEEM OFFER IN STORES OR ONLINE: Offer valid now thru 12/24/18. Subject to credit approval. Max of 100 bonus points per customer, per day. The Victoria's Secret Credit Card is issued by Comenity Bank. 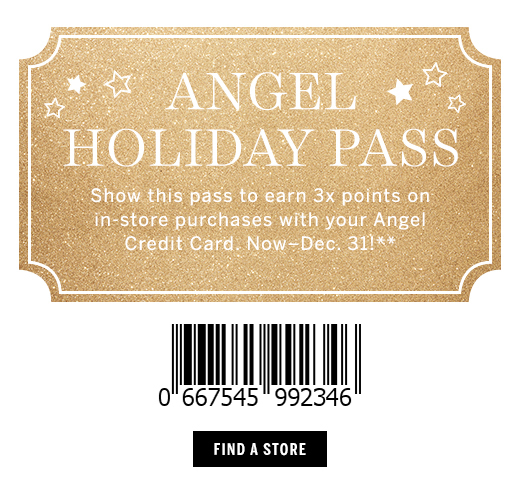 For Victoria's Secret reward program terms, visit http://www.VictoriasSecret.com/vsangelrewardterms. TO REDEEM OFFER IN STORE ONLY. Offer valid Now thru 12/31/2018. Subject to credit approval. The Victoria's Secret Credit Card is issued by Comenity Bank. 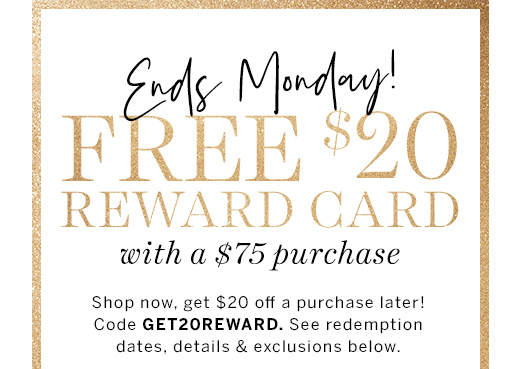 For Victoria's Secret reward program terms, visit www.VictoriasSecret.com/vsangelrewardterms.